We already know Samsung is likely to launch the Galaxy A8 on July 17, though the smartphone will only be available in China initially. The same source that revealed to us the launch date of the smartphone also confirmed the Galaxy A8 won't come cheap. The device will be available for purchase for around $500 or €450 outright. This is the price from China, Malaysia and Vietnam, but we're not sure if Samsung will make it available in Europe and North America at a slightly price. 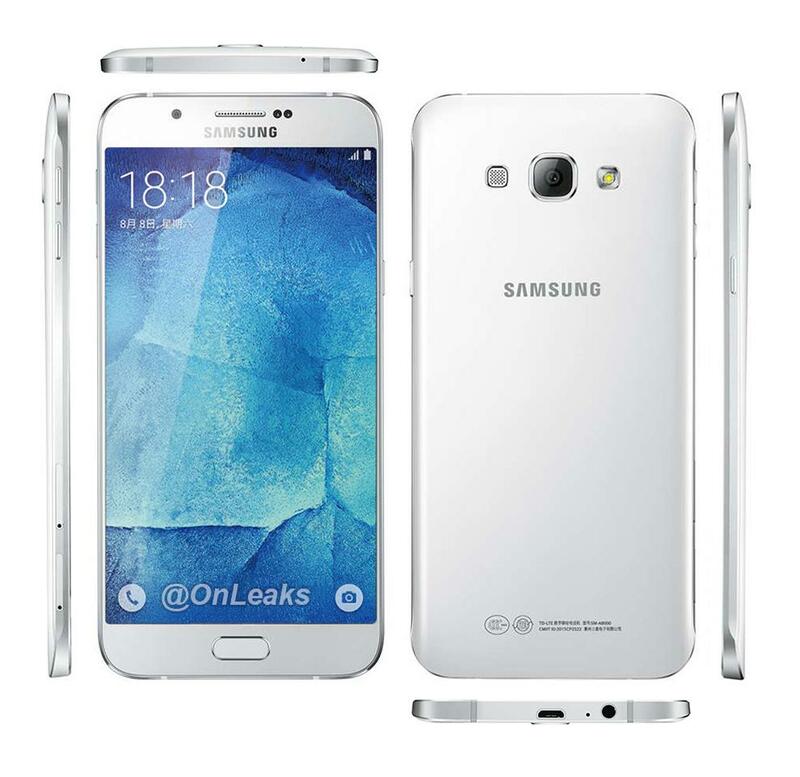 The good news we now have a press render that shows the Samsung Galaxy A8 in all its glory. The phone really looks stylish, but the Galaxy A8 might be slightly overpriced for what it has to offer in terms of specs. Speaking of which, the Galaxy A8 is said to come with a 5.7-inch Super AMOLED capacitive touchscreen display that supports full HD (1080p) resolution. When it comes to hardware, the smartphone is powered by a 64-bit octa-core Qualcomm Snapdragon 615 processor, which is paired with 2GB RAM and 32GB of internal memory. There's no word on microSD card slot, but we do know the Galaxy A8 will pack a 16-megapixel main camera, a secondary 5-megapixel camera in the front and a 3,050 mAh battery.